I’m incredibly excited to share this tutorial with you today! After mentioning that I was in the market for an apron that would be long enough to accommodate impromptu garden harvests, I was introduced to the concept of a gathering apron. Obviously, I immediately loved it! 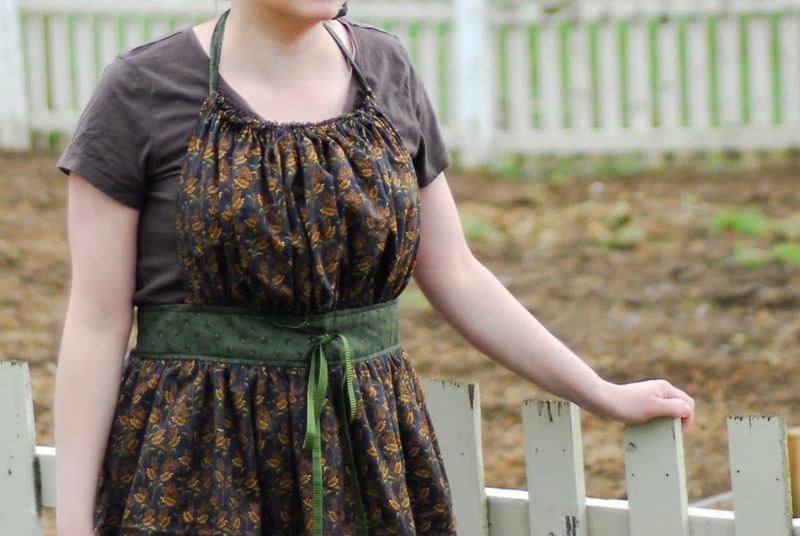 A harvest gathering apron is perfect and better than what I was looking for! But if I’m to bother with wearing an apron, it must have a bib. I’m not the tallest of ladies and if an apron is to protect my clothes, the bib covers the area most prone to splashes for me. 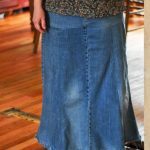 The skirt is long to allow for plenty of room in the gathering pocket and lined with muslin for strength for bringing in those big garden harvests. 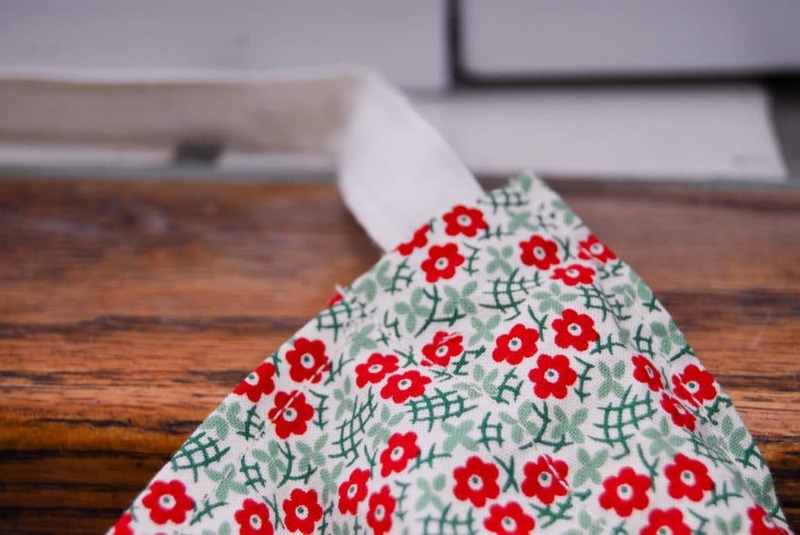 While this tutorial includes the instructions for lining the skirt portion of your gathering apron with muslin to make it a bit more durable, I no longer line mine. I found it just added to the weight when I was gathering and over time it shrunk at a different rate than the cotton so it doesn’t press nicely anymore. 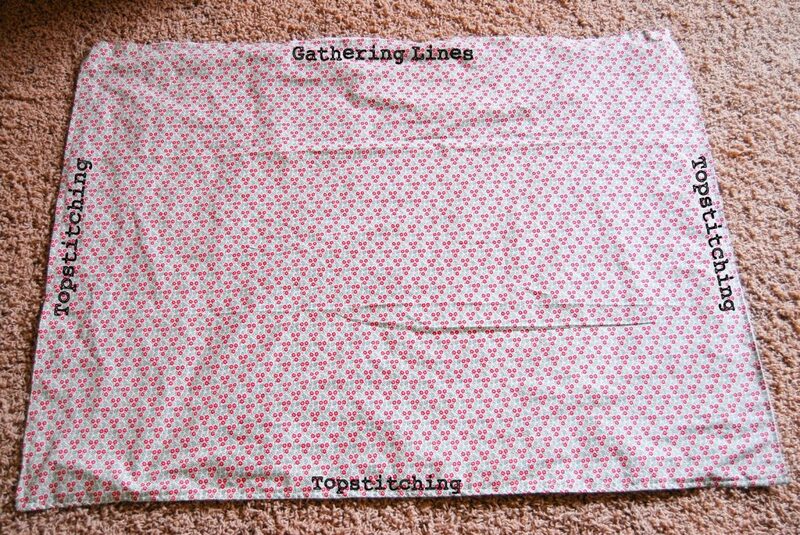 Download FREE instructions for an unlined Gathering Apron HERE. These directions aren’t as detailed, but it does have the instructions outlined in the most efficient workflow. 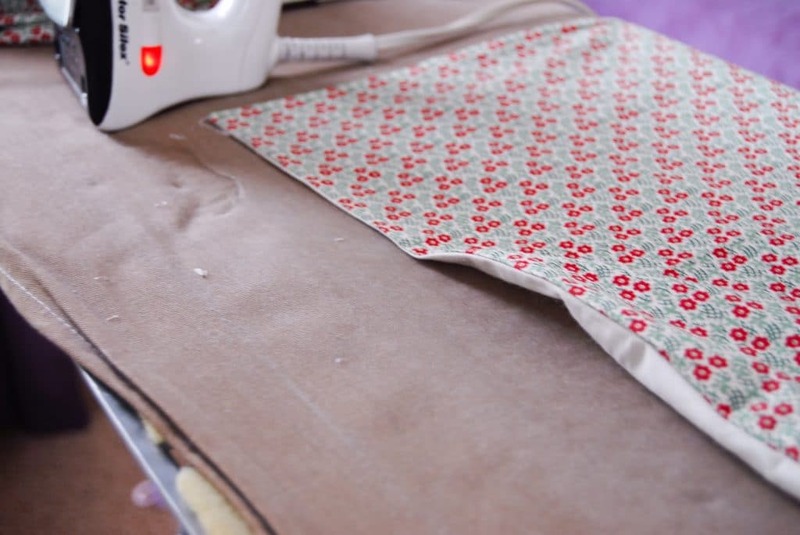 It combines steps into groups that are done at the ironing board & at the sewing machine so there isn’t so much going back and forth. I would read and understand the tutorial first, but this sheet will help you so you’re not scrolling all around the post looking for the next step. 50″ length of 3/4″ grosgrain ribbon. 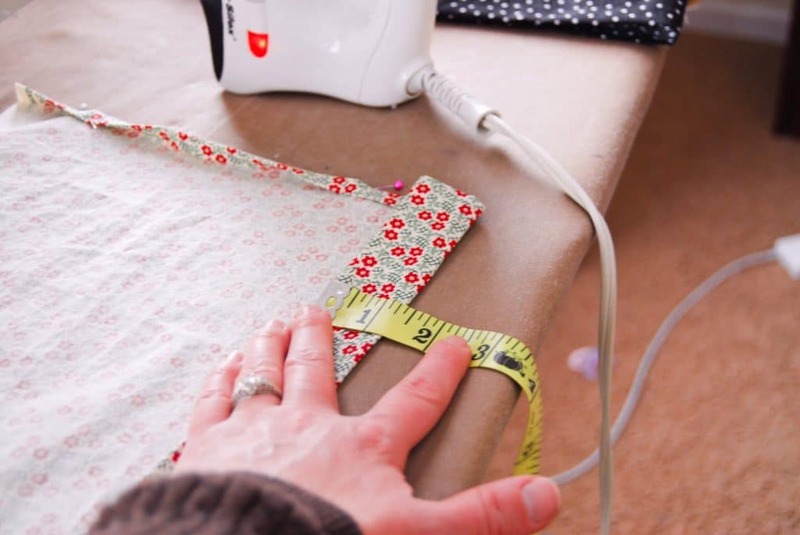 For this step, you’ll need your waist measurement at your natural waistline where you’ll tie your gathering apron. 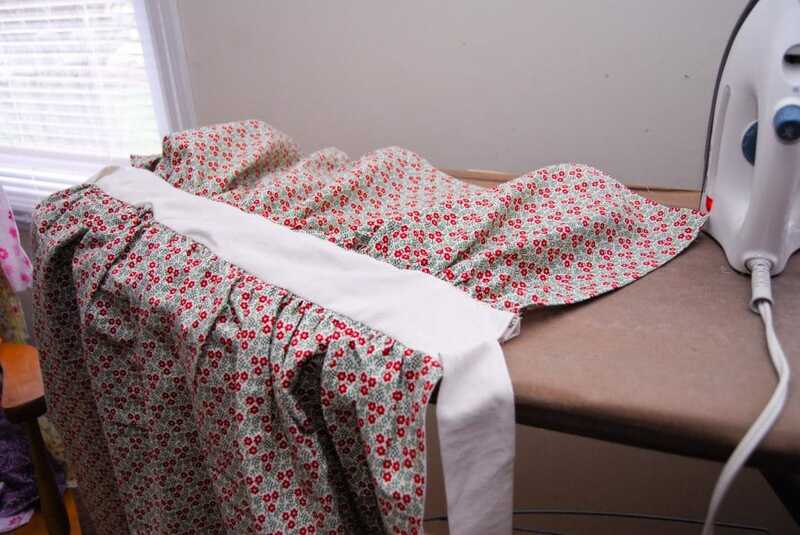 •Pin the right sides of the skirt and muslin together on 3 sides only, leaving the top open. •Stitch the seam of the 3 pinned sides. •Trim seam & clip the corners. •Turn the piece right side out, poking into the corners for a nice right angle. Press. •Run 2 gathering lines across the top at 5/8″ & 1/4″. Next, we’re going to make an opening in the top of the bib to run the necktie through. 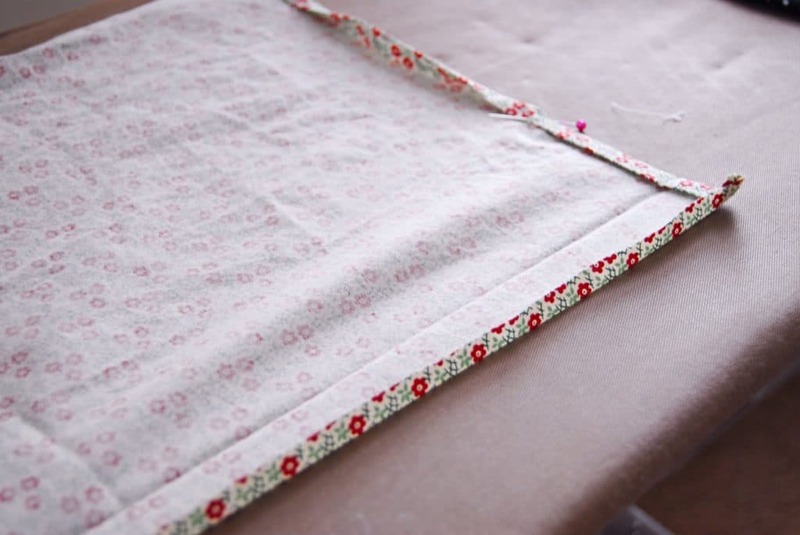 •Fold the 2 side edges under 1/4″, press and fold in again 1/4″, press & pin. 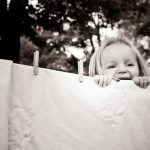 •Fold under 1/4″ on top edge. Press. 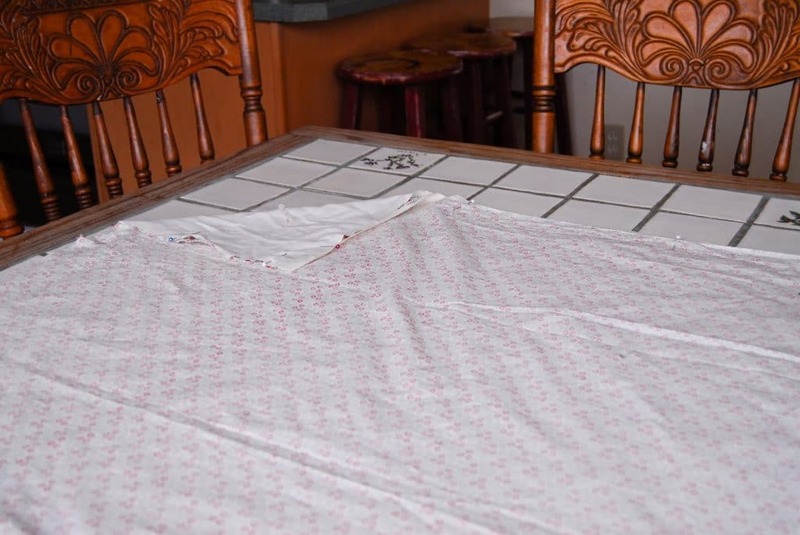 • Fold the top edge of the bib over 1 1/2″. Press & pin. •Stitch up one side, just to the bottom edge of the top fold, across the bottom edge of the top fold, turn and stitch down the other side. 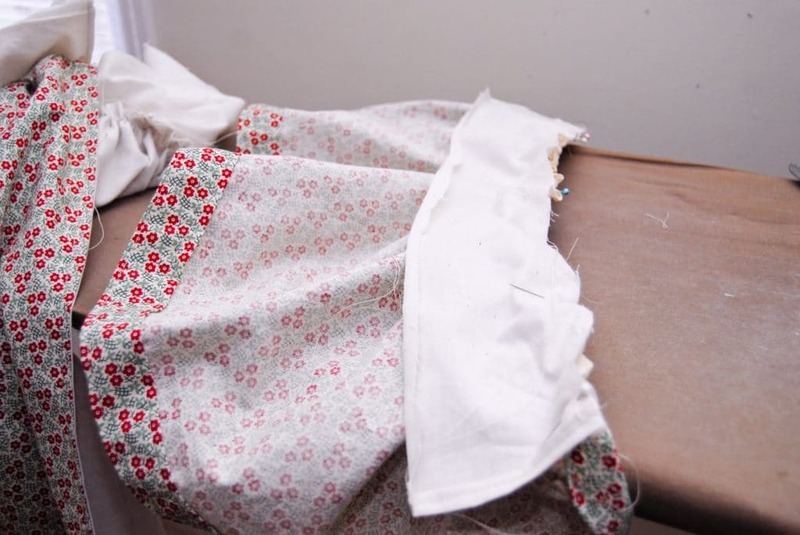 •To sew the necktie end and tie ends, fold each in half lengthwise then stitch a 3/8″ seam allowance, sew across one short end (I did the tie ends on a diagonal), turn, and then down the long end, leaving the other end open for turning. •Clip corners, turn right side out, and press. •For the necktie, slipstitch the open end closed. •Pin the open ends of the tie ends 5/8″ from the top of one waistband section (we’ll call it Waistband #1), raw ends even. Baste. 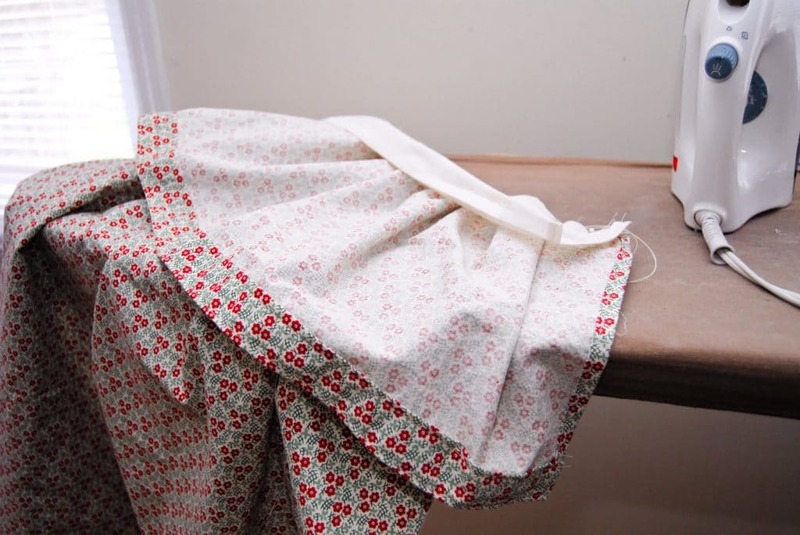 •Hem Waistband #1 sides by turning in 1/4″, pressing, turning in a 1/4″ again, pressing again. (On the piece with the tie end, be sure to hem on the back… away from the tie end.) Stitch. 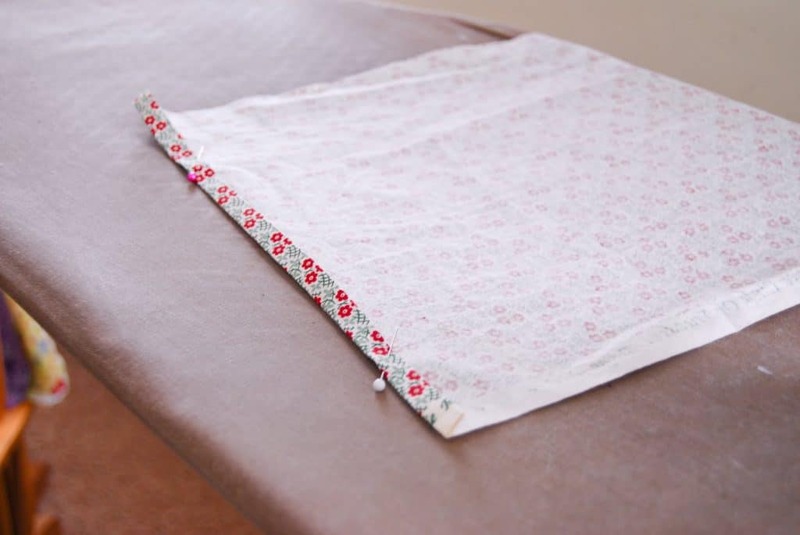 •Sew a 5/8″ seam. Press the seam up so that it will be inside the back waistband section and look neat. 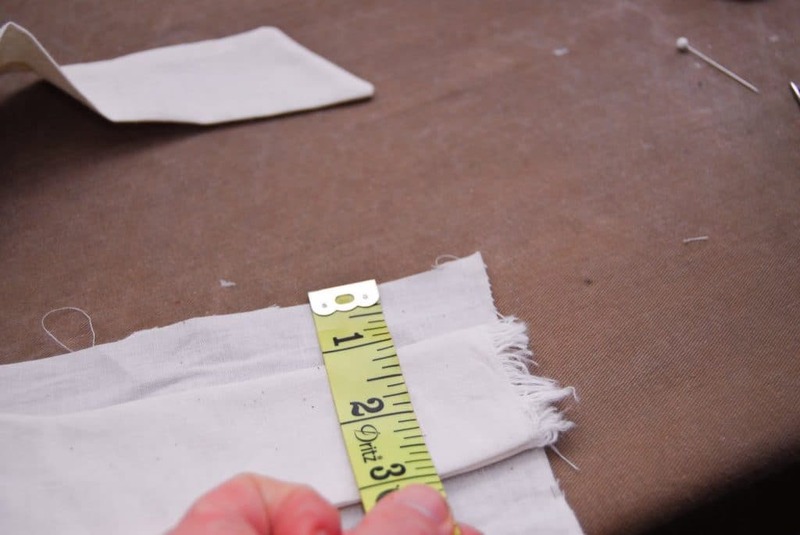 •Measure and mark in 4″ from the edge of Waistband #2 on each side. 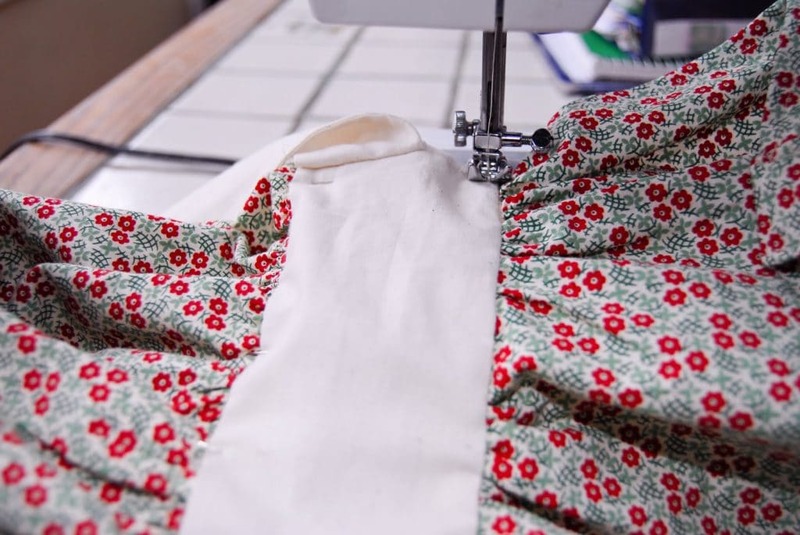 Pin the wrong side of the bib to the right side of the Waistband #2 at the marks. Pull up the gathers, matching centers. 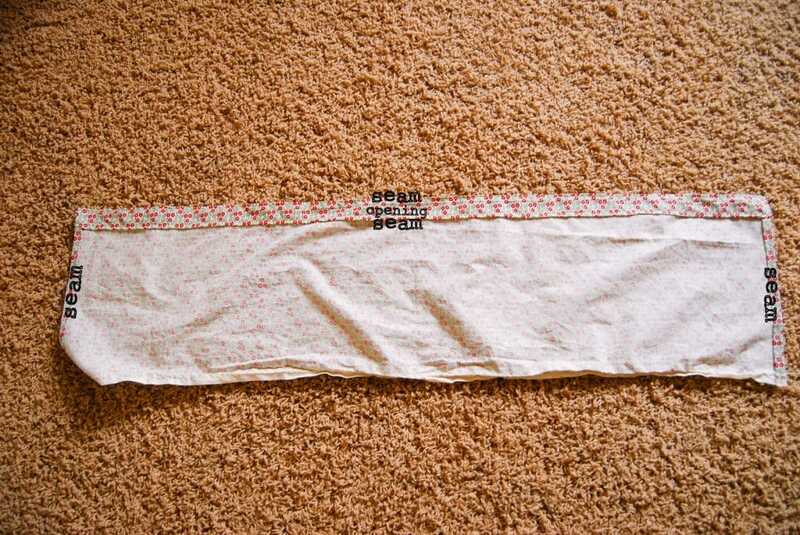 (The waistband will extend 4″ past on each side of the bib.) Stitch. 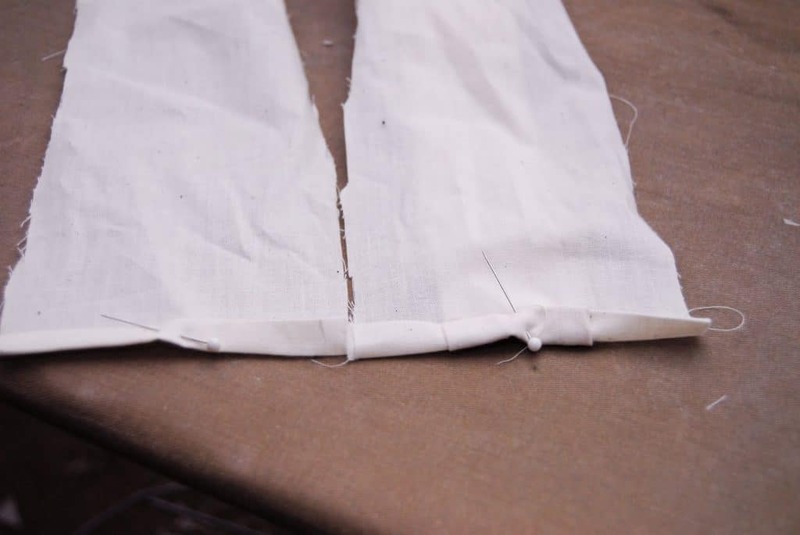 •Pin the bottom seamed end of the bib to the top of the Waistband #1 on the skirt, right sides together. 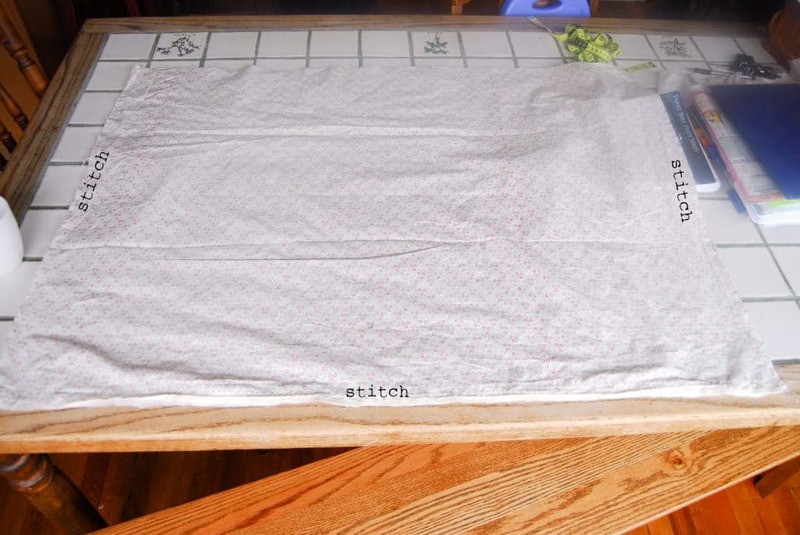 Stitch a 5/8″ seam. 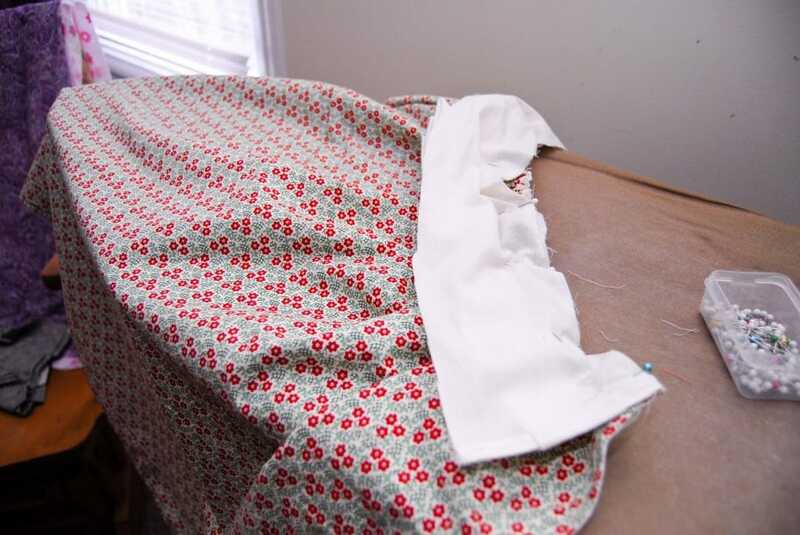 •Lay the loose waistband flat and pin turned in edge to the skirt/waistband gathered seam. 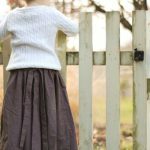 •Topstitch the waistband on all sides. Size them to account for the 3/4″ grosgrain ribbon. 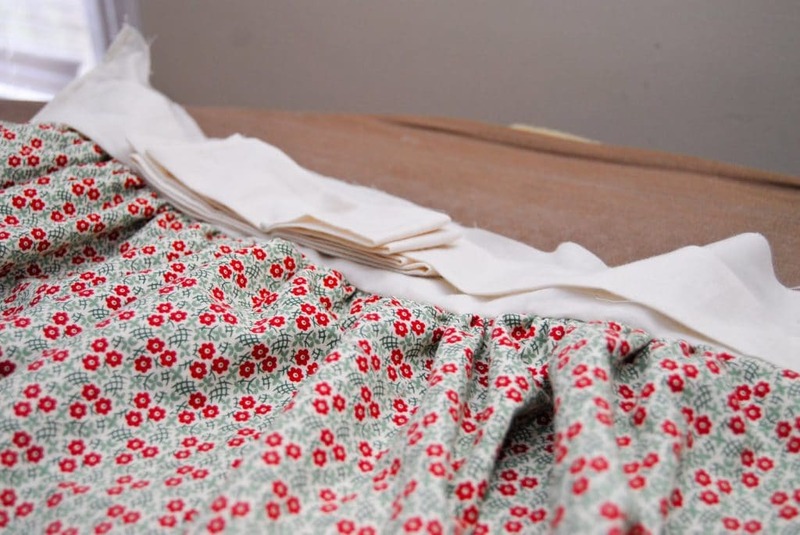 • Sew 2 buttonholes on the right and left bottom corners of the skirt. 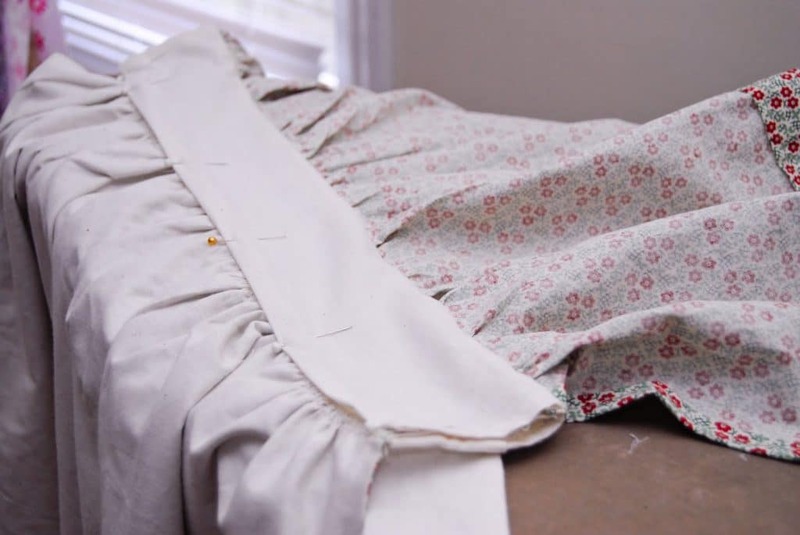 • Find the center of the bottom of the skirt and sew 2 buttonholes- 1/2″ to the right and left of center. 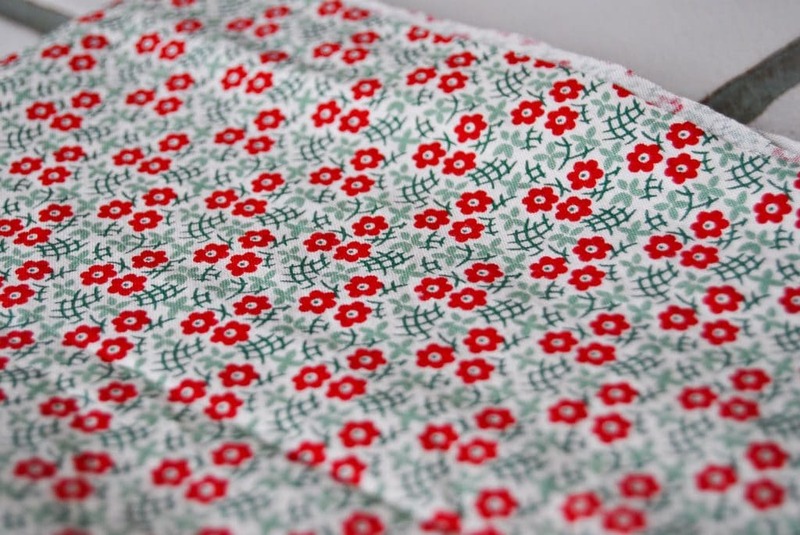 •Find the center of the waistband and sew 2 buttonholes- 1/2″ to the right and left of center. 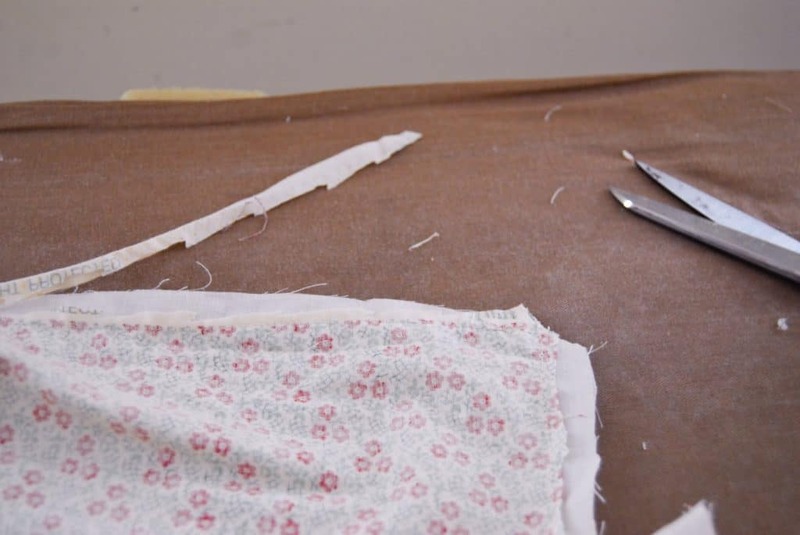 •Open the buttonholes with a seam ripper or pair of embroidery scissors. 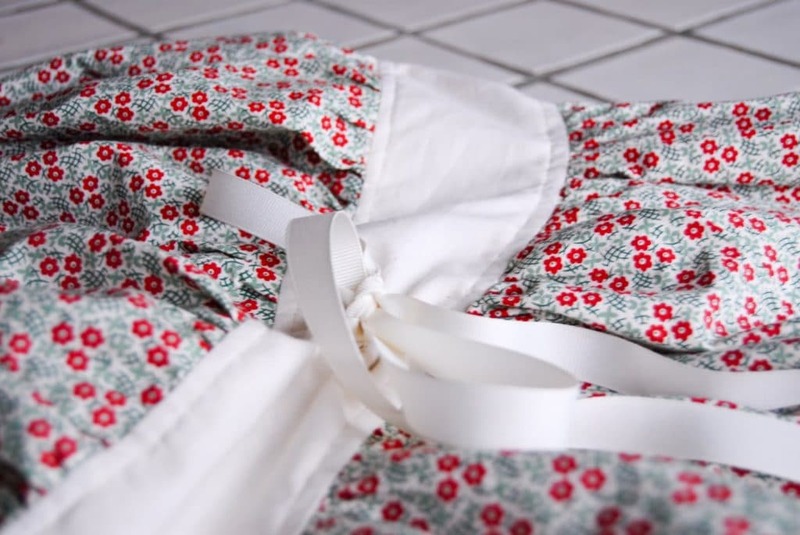 •Feed the grosgrain ribbon through the buttonholes in the waistband and tie a bow. •I cleaned up the waistband edges by slipstitching some of the openings. •Then I removed the basting stitches from the tie ends that were holding them towards the front. 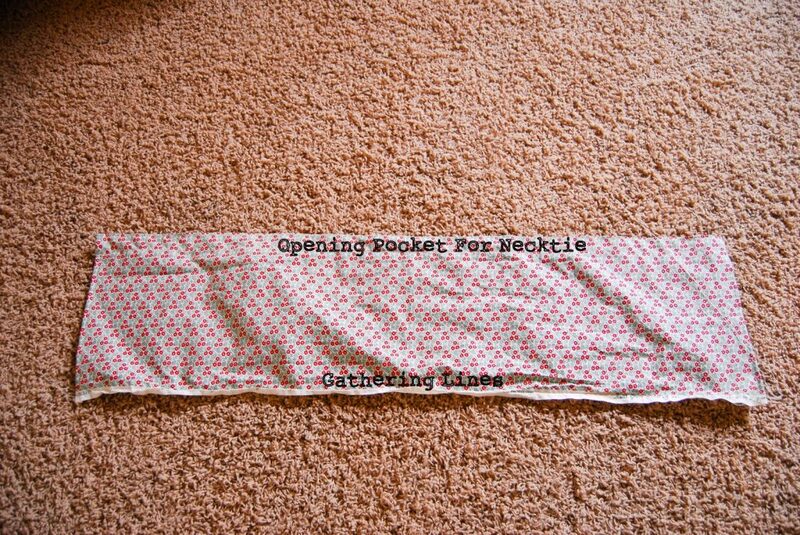 • Insert the necktie end through the opening in the bib. Not a sewer? 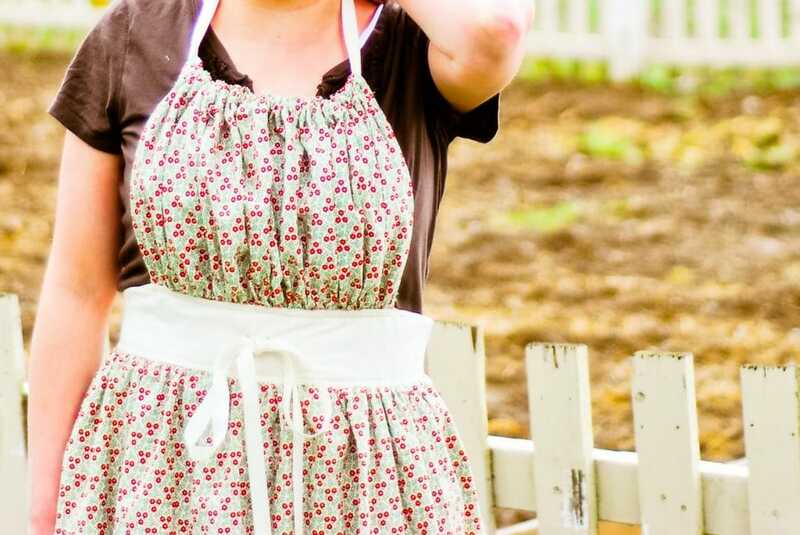 Check out these for some alternative harvest gardening aprons you could purchase! Do I understand right that only the bottom is lined? which side of the apron skirt is the top? The 30″ or the 40″??? cut idea, but for me I would leave the top part off. Aprons with neck ties bother the back of my neck, especially after you have the weight of the fruit or veggies in the apron. 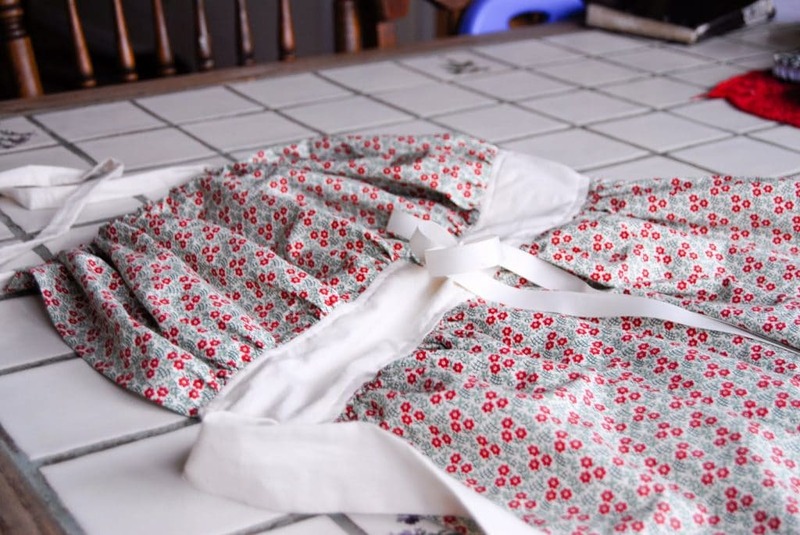 I used this idea (not the tutorial) and made a waist apron yesterday. I took the advice of others that the bib/neck would get heavy once the apron was filled. I put three holes in the bottom of the apron (left, right and center) and added a pocket on the front. It turned out well. Thank you for the wonderful idea! I have to second this….you have a double whammy of memories of giving this gift….so awesome! I love the idea, but why is the top part needed? Thank you. Very good instructions. 2 yards should do you fine. Here’s my math on the lengths: I cut a 30″ apron, 2 waistbands @ 4″ each, a 14″ bib, 2 tie ends at 4″, and 2 neckties at 2″. 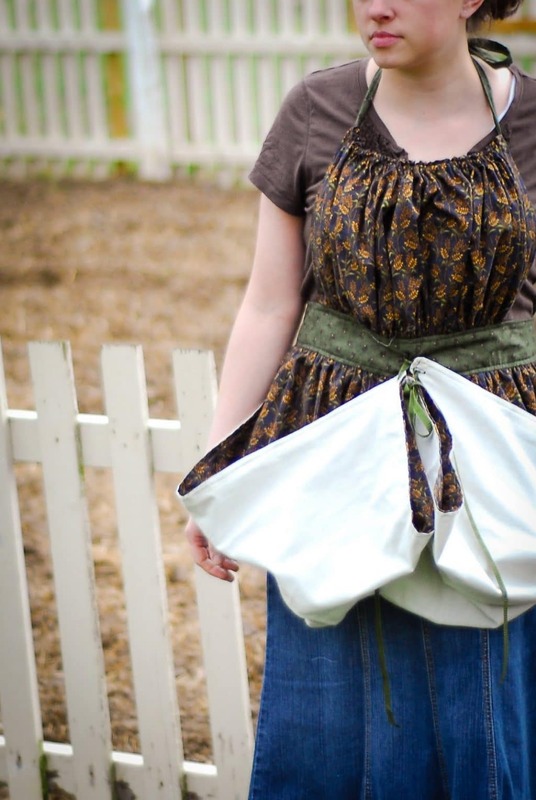 What I want with an egg collecting apron is that it is cute and functional at the same time. How sweet of you to share in her excitement! I hope it turns out wonderfully and she loves it! Are you supposed to sew the tie ends on the front of the waistband or back? I’m confused on this part. Sorry, newbie! 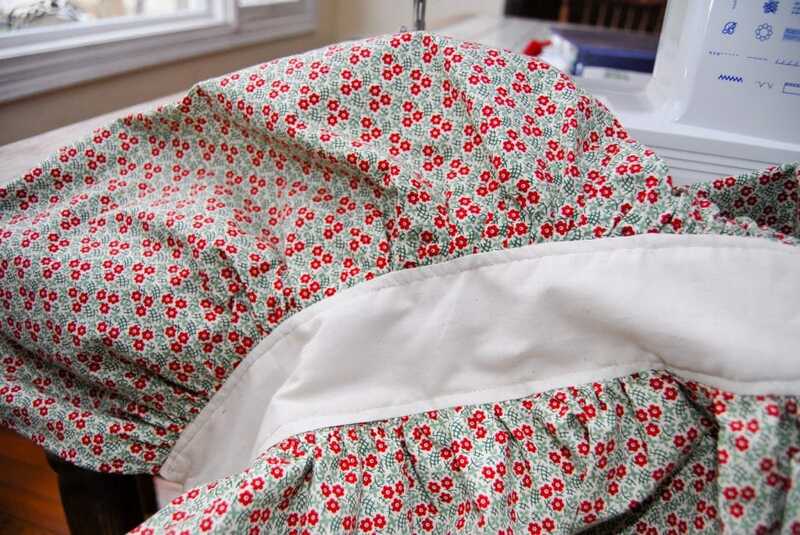 They get attached to the waistband that will be sewn onto the front (bib). 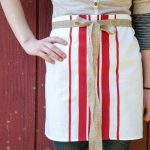 Link to UNLINED apron no longer works. 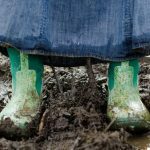 Can you please post new link or let me know alternate place to look? Thank you!